How a single O ring can affect yield, and what to do about it. 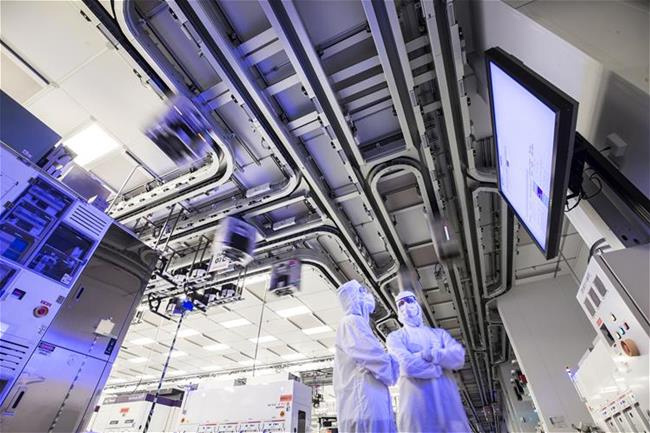 Achieving high yields with acceptable costs is becoming much more difficult as chipmakers migrate to next-generation 3D NAND and finFET devices—but not just because of rising complexity or lithography issues. To fabricate an advanced logic chip, for example, a wafer moves from one piece of equipment to another in what amounts to 1,000 process steps or more in a fab. Any glitch with the equipment or a process step can cause defects, thereby impacting yield. The culprit may be a malfunction in seemingly insignificant parts or sub-systems in the equipment itself. Simply put, defects introduced by process-critical components in fab equipment can impact wafer yields, according to members from SEMI’s Semiconductor Components, Instruments, and Subsystems (SCIS) Special Interest Group, an organization that represents suppliers of components and sub-systems. The issues have been known for some time, but they are expected to become more problematic as chipmakers move to 10nm/7nm and beyond, according to SCIS. The group’s members include GlobalFoundries, IM Flash, Intel, Micron, TI and Samsung as well as major fab tool and component suppliers. The components and sub-systems in fab equipment are taken for granted, but they play a critical role in the semiconductor supply chain. For example, the more sophisticated fab tools incorporate more than 50,000 parts from dozens of suppliers. Chambers, pumps, RF generators, seals and valves are among the key components in a tool. • The wrong O-rings were installed in a portion of the sub-fab, which could cause contamination in the flow. An O-ring is a part that serves as a seal in a system. • A pressure regulator malfunctions in the ultra-pure water system, causing contamination in the process. • A liner material breach occurs in a bulk chemical distribution system, causing corrosion in the unit. For that reason, the industry’s supply chain is undergoing some changes. Not long ago, equipment vendors mainly specified the tool component from suppliers. Now, in addition to tool makers, chipmakers also are involved, and they are collaborating with component vendors in an effort to prevent a potential problem from occurring in the fab. Collaboration is only part of the solution, however. At advanced nodes, the industry wants to perform more rigorous tests on tool components, but they also need to find a better way in terms of how defects are measured on these parts. The problem is that measurement standards are either inadequate or non-existent. For example, there are few, if any, standard specs in the IC industry for O-ring seals, which were originally developed for steam engines in the 1800s. Seeking to address these issues, SEMI’s SCIS Special Interest Group is establishing new standards and methods for measuring defects introduced by components. In addition, there are other solutions to solve the problem, such as advanced metrology, wafer monitoring and simulation techniques. 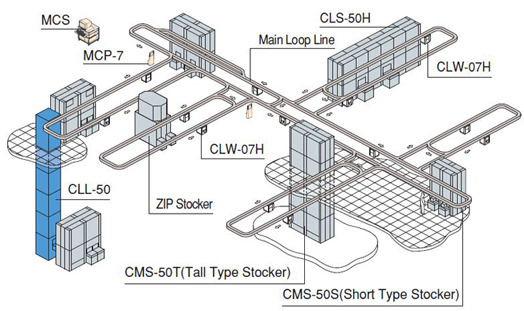 In addition, 300mm fabs are also automated plants that make use of an assortment of automated material handling systems and wafer transport mechanisms. At times, though, the fab flow encounters a problem. Defects can crop up in any part of the process. Then, a tool can run into a problem in the fab, which could mean any number of issues. Regardless, fab tools require maintenance. Every tool has a preventive maintenance plan where the system is taken offline for cleaning and upgrades. So the fab keeps spare parts on hand. Indeed, if a tool has an issue, it’s sometimes an arduous task to troubleshoot and fix the problem. It can be a time-consuming and costly process as well. For example, a component could not only malfunction in a tool, but it could cause a possible process-induced defect. The number of components varies from tool to tool, but the more sophisticated systems have a staggering number of parts. Consider Zeiss’ AIMS line of photomask inspection tools for extreme ultraviolet (EUV) lithography applications. The system consists of 4,500 sub-systems and 64,000 individual parts from 134 different suppliers, according to data from Intel. The AIMS tool is one of the more advanced systems in the market, but it exemplifies the complexity of today’s tools. Hypothetically, if the AIMS tool has an issue in the field, there might be a problem with one or more parts in the system. Finding them is a difficult task. “If we are chasing a defect on the tool, we are looking for a needle in a haystack,” said Ya-hong Neirynck, a technology enabling specialist at Intel. • More collaboration in the supply chain. • Bolster the quality programs for component suppliers. • Develop baseline metrics and defect testing standards for components. • Devise ways to trace the problem. The process starts when a tool maker develops a new system. From there, an equipment maker procures components for the system. Over the years, tool makers have developed a list of preferred component suppliers who they know and trust. They also know which suppliers to avoid. Obviously, vendors must do their homework. They must understand the characteristics of a given component so they can anticipate a potential problem before it occurs in the fab. There are some limitations, however. It makes sense to implement more rigorous controls and testing for the critical components. It’s impossible to implement the same controls for every part because it’s too expensive. Component suppliers attempt to provide the best solutions, but in general they are unaware of the exact conditions or recipes that their products are subjected to during the actual process. Sometimes chipmakers and tool vendors don’t want to reveal their key intellectual property to suppliers. One of the drawbacks of the traditional way of doing business is that the part may fail and the supplier has no idea, or only a vague inkling, why it didn’t meet spec. The obvious solution is collaboration. For this, the various parties must get more involved in the product development process. The challenge is when the parties need to share IP. Sharing IP on basic parts is simple. But companies are much more cautious about revealing IP on the more critical components, such as process chambers. The components require more rigorous characterization and testing as chipmakers migrate to more advanced nodes. But how that gets accomplished isn’t clear. “To date, there is no industry alignment on how defects are measured on various components and sub-components and on how these results are reported,” said Paul Trio, senior manager of strategic initiatives at SEMI. Take an O-ring for example. An O-ring is a small item that fits between two or more parts, which forms a seal at the interface. Each fab tool has several different seal types, including those for the lids, ports and windows. But each seal vendor develops proprietary products. Therefore, each vendor has different and proprietary data about their products, but there is no standard way to test or package these items. “The problem is the same spec that was invented for the steam engine is the same spec they use for these seals today. Therein lies the problem. There is no spec,” said Dalia Vernikovsky, chief executive of Applied Seals North America and co-chair for SCIS. Many other types of components are in the same boat, prompting the need for standards. So in 2013, SEMI and others launched SCIS. Besides major chipmakers, Applied Materials, ASMI, ASML, KLA-Tencor, Lam and TEL are members of SCIS as well as a number of component vendors. 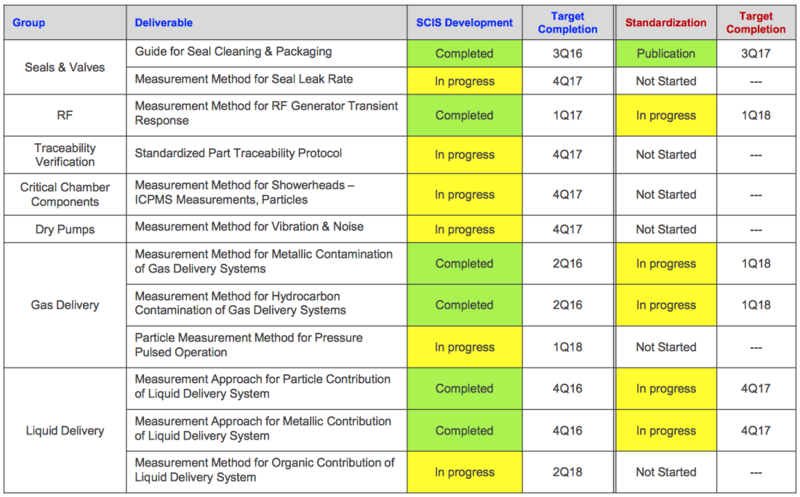 SCIS’ charter is to get chipmakers, tool vendors and parts suppliers in the same room and hammer out “a baseline for measuring defects introduced by process-critical components,” according to SEMI. 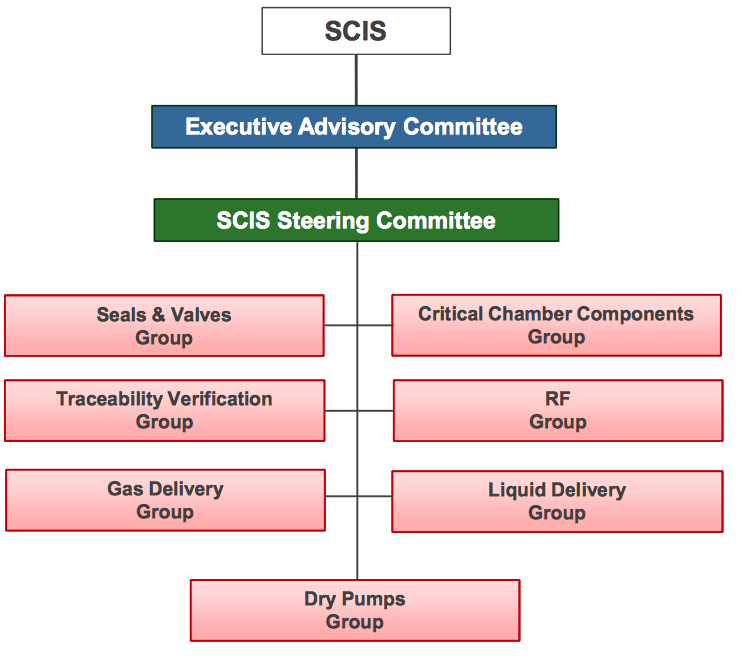 Today, SCIS has eight working groups in the following areas—chambers; gas delivery; liquid delivery; pumps; RF generators; seals; and valves. The eighth group, the Traceability Verification Group, is developing an “Information Exchange Model.” This involves providing traceability data to a potential issue in the fab via the cloud. Collaboration, standards and testing methodologies are a big step in the right direction, although there are other solutions, as well. For this, chipmakers can go several routes. One way is to use simulation techniques to predict potential problems. By modeling the process, chipmakers can reduce silicon learning cycles and development costs. Tool monitoring is another approach. In tool monitoring, bare wafers are processed in the fab. Then, an inspection tool determines if a given piece of fab equipment is the root cause of defects on the wafer. If so, the tool can be moved offline and evaluated. Although I am no longer in the industry, I’ve really enjoyed reading this piece Mark! It’s one of the most comprehensive articles I’ve ever come across, that examines a somewhat complex industry problem, with plain and simple description. Wish I could have shown this to my mother years ago so she’d knew what my job actually was for 10 years in the semiconductor industry LOL. It was interesting to read that to fabricate an advanced logic chip a wafer moves from one piece of equipment to another in what amounts to 1000 more process steps in a fab. If I worked in engineering I would want to understand that any glitch in this type of equipment would cause defects, just like the article states. It’s very important for those who work in this field to understand all of its intricacies before working with this equipment.